Sorry. You were redirected to this page because you attempted to access content that is for Subscribers only. Please log in or make a purchase below. AFCNA is a registered charity that is entirely staffed by volunteers, and our work is entirely funded from membership and donations. Your gift enables us to grow and develop this ministry. We value your privacy. Click here to read more. By supporting AFCNA through a Member’s subscription you are granted access to all of our resources as well as discount offers on professional development, conferences, on-line education, and events. You have voting rights at the Annual General Meeting and eligibility to become a Board member. Full membership is ideal for people interested in pastoral health and care ministry, faith community nurses, and health professionals working in faith-based settings. As a thank you for becoming a member you will receive an eBook 'The Faith Community Nurse role is an important function of church ministry'. Full membership is only $30.00AUD per year ($20 concession) and this is tax deductible for health professionals. You can pay your membership through the website by setting up your profile to provide us with your information. Or if you prefer to pay via direct deposit, cheque, or money order, click here for an Annual Membership Application and Renewal Form. Please scan and email to afcna@outlook.com, or post a completed form to PO Box 2707 Kent Town DC, S.A. 5071. By registering online, your membership subscription can be a once off or you can choose a recurring membership which will auto-renew every 12 months until such time as you cancel it. Your online payment can be made annually and securely through PayPal (no PayPal account is necessary). AFCNA does not keep any payment details. We ask you to create a profile, which provides AFCNA with information about you that helps us maximise our member support. AFCNA keep this information on our secure membership database. Your privacy is assured. Click here to read more about privacy. There’s lots of advantages to becoming a member. As regulated professionals, Australian nurses are expected to adhere to professional codes, guidelines and standards for practice so they can provide safe professional practice. AFCNA is a recognised professional nursing association, commenced in 1996 to support the specialty of Faith Community Nursing. AFCNA is a member of the Council of National Nursing and Midwifery Organisations (CoNNMO) in Australia. Membership gives you a voice in the vision and direction of AFCNA and via CoNNMO a voice on health care planning and policy in Australia. Membership demonstrates your commitment to your profession. As a member you gain access to a network of Christian nurses with mutual professional and faith interests, who are passionate about shaping the future of Australia’s health care. You are eligible to receive mentoring in the FCN role from an experienced FCN who understands your practice context, if you want that support. AFCNA membership provides you with quality opportunities to keep up to date in the specialty of Faith Community Nursing at reduced prices. AHPRA and the Nursing and Midwifery Board of Australia require all nurses to complete a minimum number of continuing professional development (CPD) hours directly relevant to their nursing or midwifery context of practice. AFCNA provides contextually relevant continuing education (CE) courses. These are developed to an excellent professional standard by qualified educators so you stay up-to-date in your practice. Additionally, from 2018 (coming soon) members have free access to the World Continuing Education Alliance (WCEA) portal where you can access thousands of specific CE activities . WCEA has been endorsed by the International Council of Nursing and AFCNA membership gets you free access! Current AFCNA members have access to all the resources on the website including many articles of interest and resources for the use in the FCN role including FCN practice guidelines, documentation proformas and specific professional development modules/ courses. It all goes to further the work of AFCNA. These activities require more funds than our membership fees can support. We don’t sell advertising space on our website or in our newsletters, so your donation is valuable and greatly appreciated, because it enables AFCNA to provide quality support to FCNs and Christian faith communities with their Health and Care Ministries. 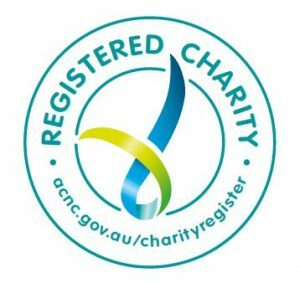 Direct Deposit:Australian Faith Community Nurses Association Inc. BSB 704 -874 Account: 100009636 Please insert your name as the reference code and mark it as a ‘Gift Fund’ donation. You can make a one-off donation or you may wish to donate on a regular basis. If your donation is a tribute and you want the recipient of your gift to be notified please let us know by completing a Donation form. Please click here for the form to complete. You can fill it in, scan or photograph it, and return it to us via email, or you can post it to us with your donation. It will enable us to provide you with appropriate receipts, recognise the person to which the gift is being attributed, and thank you for your kind support. If you have any queries or require assistance with this process, please contact us. Partner with us in prayer. AFCNA would not exist without the continued prayer of members and supporters. If you would like to be a part of our prayer network, please contact us. Partner with us through volunteering. If you have knowledge, skills and gifts you are willing to share to advance the mission and ministry of AFCNA, we would love you to contact us. We are looking for volunteers to help with IT, website maintenance, newsletters, administration, finance, Facebook support, specific education knowledge to share with FCNs, prayer partners, etc. If you don’t wish to become a member but you do want to stay connected and keep up to date with what’s happening you can subscribe to the mailing list and to receive our complimentary Whole Health newsletter, our monthly updates, and bonus access to some of our resources via our website. Discounts on workshops, seminars, conferences etc.